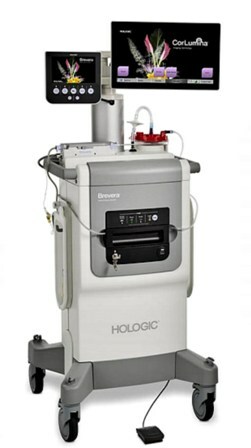 Medical technology firm Hologic has introduced new Brevera breast biopsy system with CorLumina imaging technology in the US. Brevera system is claimed to be the first and only breast biopsy solution, which combines tissue acquisition, real-time imaging, sample verification and advanced post-biopsy handling in one integrated system. The new system, which has been designed for 2D and 3D breast biopsy, enables physicians to carry out procedures that save costs and improve the patient experience. Hologic has designed the system to be used with the firm’s Affirm prone biopsy system, Affirm breast biopsy guidance system and MultiCare platinum system. The new real-time breast biopsy and verification system will increase biopsy accuracy with real-time imaging, delivering worthful valuable information at the point of care. Brevera system helps radiologists to obtain and image tissue samples in the procedure room within few seconds, allowing to save procedure time. Brevera system features advanced CorLumina imaging technology, which will help to enhance workflow across multiple departments within a health system. CorLumina imaging system is said to automate the tissue sample collection and separation process, which enables patient tissue to be sent to pathology with little or no manual handling and protects the integrity of samples. In addition, the system features PACS integration for advanced image sharing and transfer of patient records. Hologic breast and skeletal health solutions division president Pete Valenti said: "We're proud to launch the Brevera system, a major breakthrough for radiologists who, for the first time, will be able to image and verify tissue samples in real-time in the procedure room. Image: Hologic’s Brevera breast biopsy system. Photo: courtesy of PRNewsFoto / Hologic, Inc.